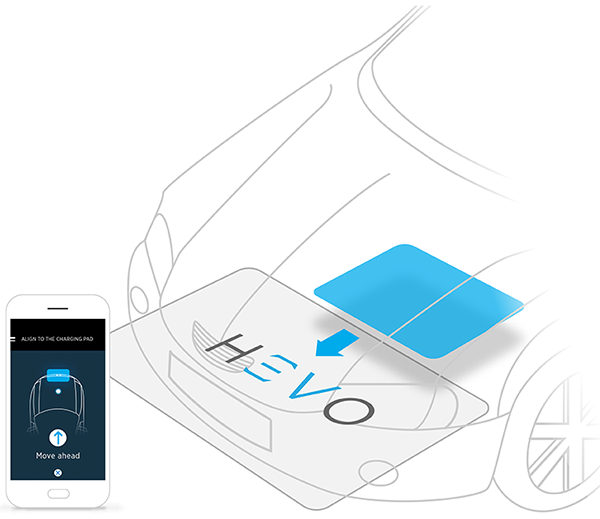 Wireless charging for electric vehicles is simple with HEVO Power. Select a nearby station and choose the best route for navigation. Available stations are marked with a green pin. 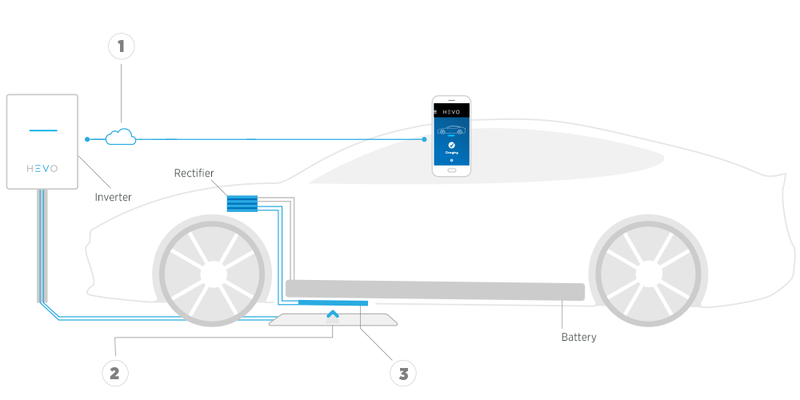 As the driver approaches within 25 feet of the selected Power Station, the App automatically displays visual and audible directions to assist the driver with vehicle alignment. This feature can also be interfaced with autonomous driving technology. Charging is as simple as a tap of a button. 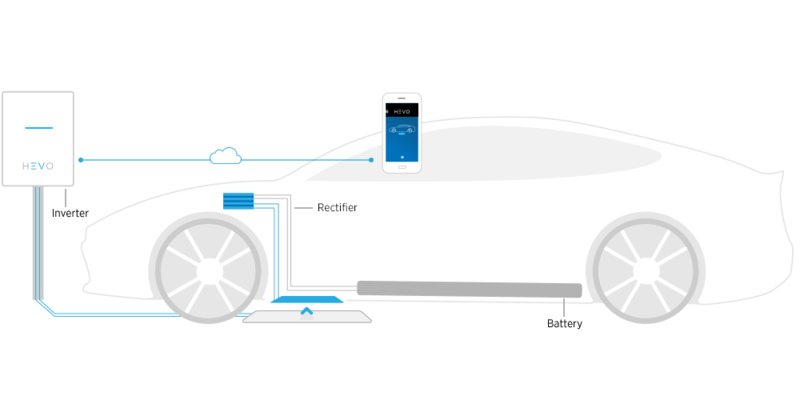 Remotely start and stop charging anytime, anywhere, while accessing real-time charging data via the App. Auto start functionality can also be selected through the App settings as well. The App informs you when the charging process is complete. Easily use the app to wirelessly pay your bill, monitor your receipts and evaluate your charging statistics on the fly. 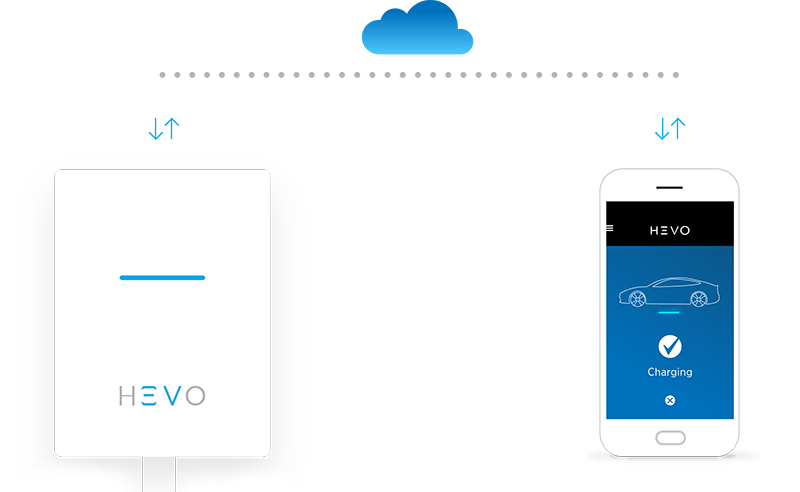 Privately charge your electric vehicle or even allow other HEVO users to charge at your Power Station through the App settings. You can always plan your daily charging itinerary through the App. You can even add favorite locations and adjust charge settings on the fly. 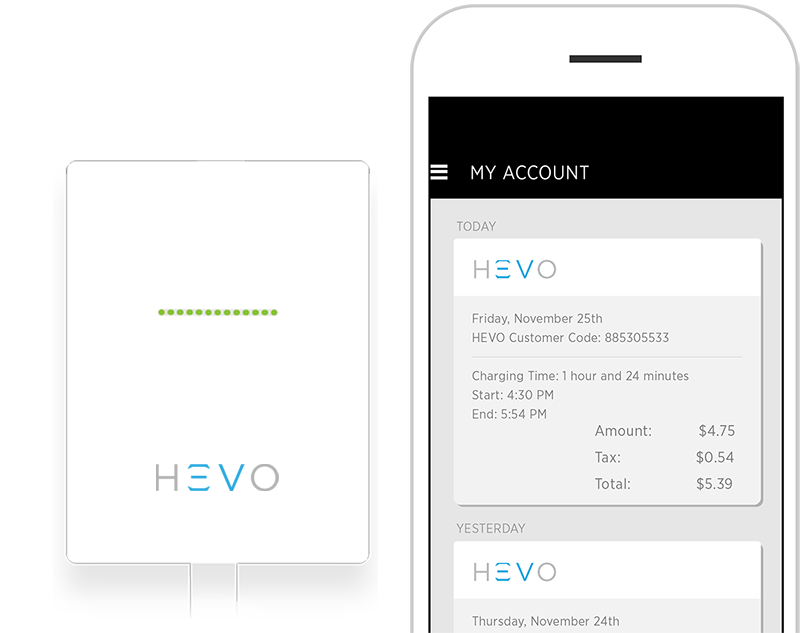 Soon, HEVO customers will have access to public wireless charging stations around their city. 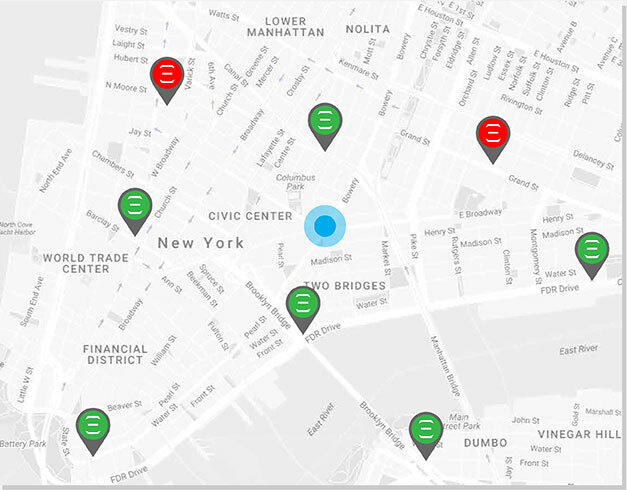 Send us a message to request a public charging station in your area. View your usage, statistics and access more services on the Dashboard. 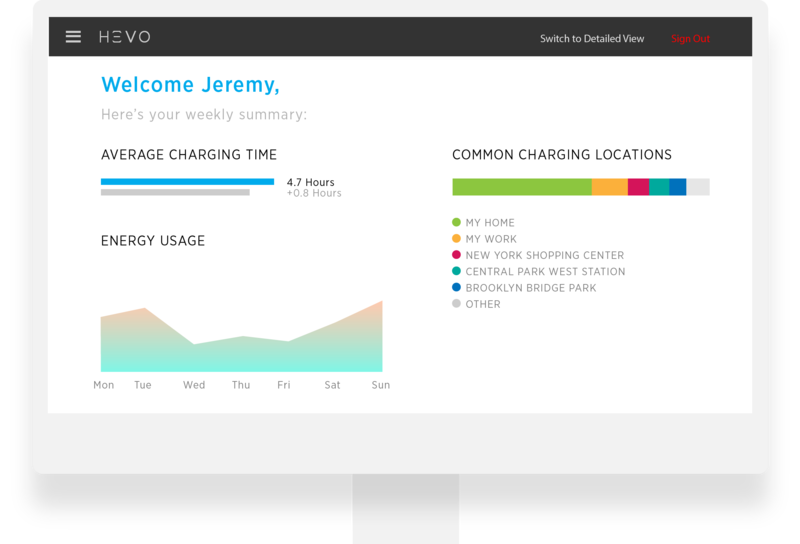 Sign into MyHEVO to access your personalized dashboard and get the data you need to elevate your charging experience. Want even more customization and data? We have all the tools you need to build the dashboard of your dreams. Simply fill out our customer contact form to be connected with our customer experience team.